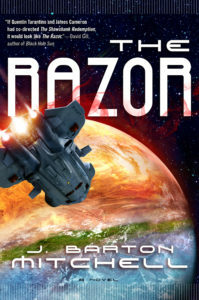 Join a rogue’s gallery of villainous characters as they struggle to survive the galaxy’s most dangerous prison planet, the Razor…and unravel the dark mystery that is beginning to unfold on its surface, in the new novel from J. Barton Mitchell. Available from Tor Books, November 27. Preorder wherever books are sold.